Can you say show stopper? 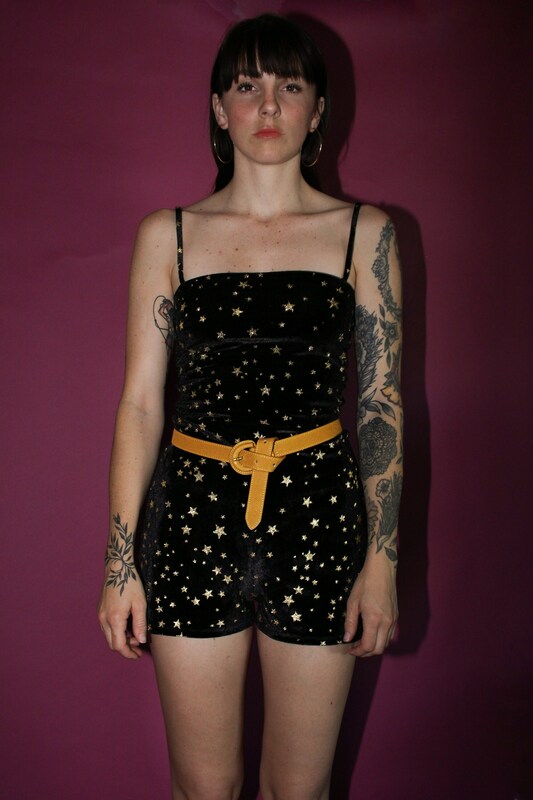 This romper hugs every curve, and sparkles with the gold stars against the black velvet background. 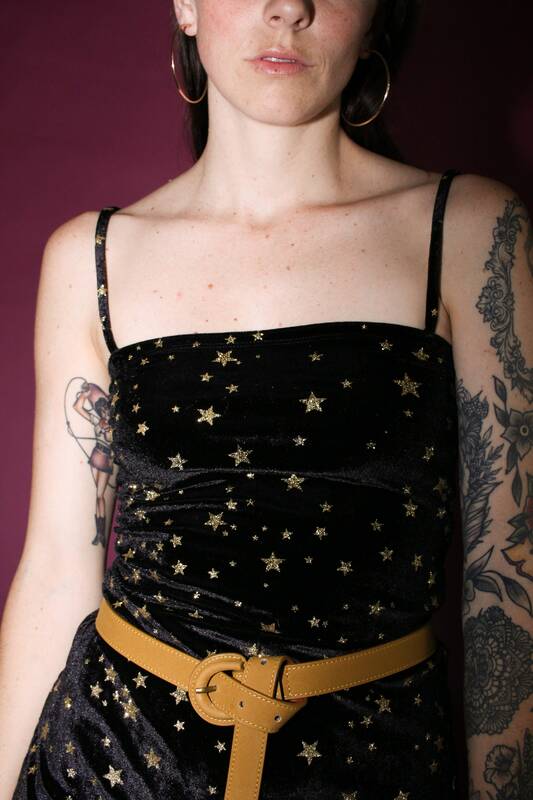 Black stretch velvet, gold star print. Spaghetti straps.